This antique Ch’ullo is a fine example of weaving on a backstap loom. 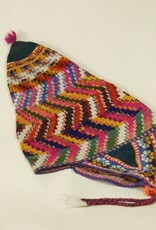 Traditionally woven by men in the altiplano of Bolivia. These finely woven textiles are more a work of art than a hat. 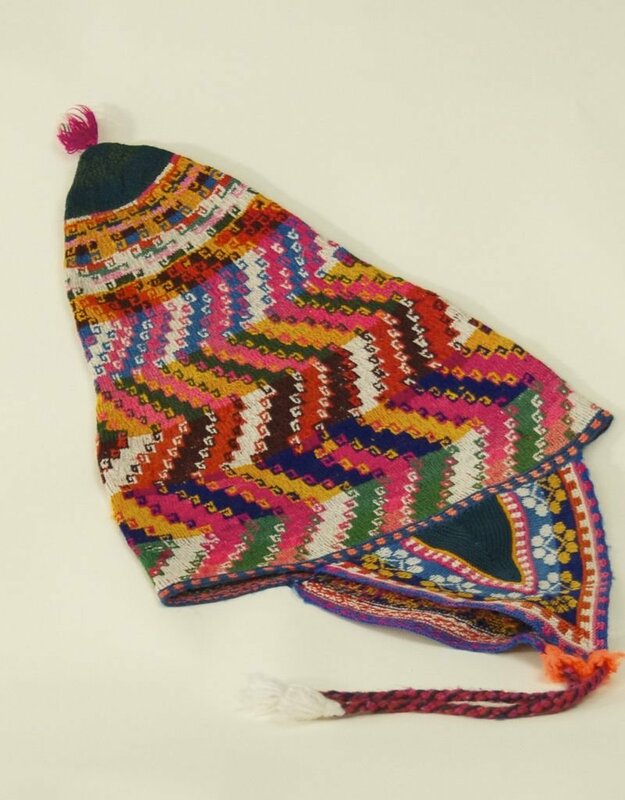 They were and are worn in the Andean mountains of Bolivia.. You will find though they are a little small for north American heads and are better enjoyed for the artistic treasures that they are.